This toolkit has been produced to assist professionals to support the children and young people they work with who may be affected by domestic abuse; helping them to have healthy relationships and to prevent them from living in silence if they are experiencing abuse in their lives. 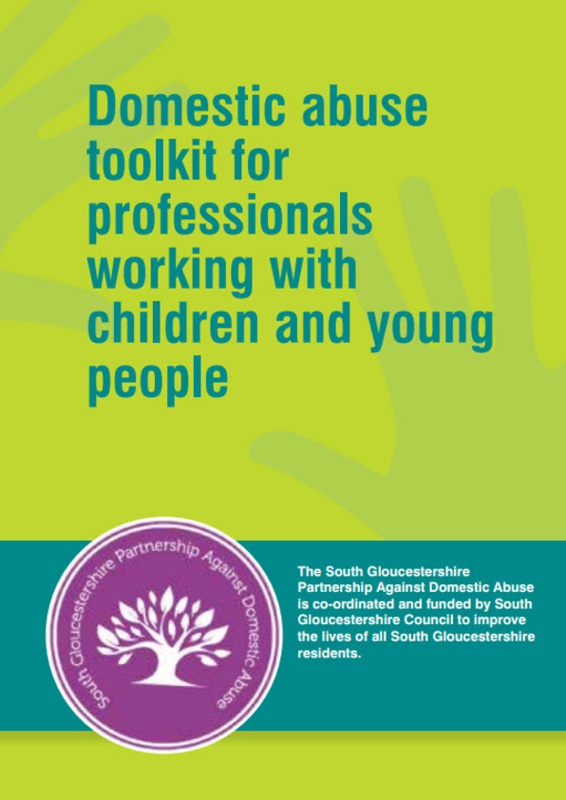 The South Gloucestershire Partnership Against Domestic Abuse (SGPADA) advocates a collaborative and consultative approach to the strategic and operational response to domestic abuse. We believe that domestic abuse is a fundamental infringement of an individual’s basic human rights and must never be tolerated. Also, that it is our collective responsibility to challenge and appropriately respond to domestic abuse inclusively for the communities we serve. SGPADA aims to achieve: an increased ‘zero tolerance’ attitude to violence; the implementation of robust initiatives and policies that work to prevent, protect and provide for all individuals and families affected by domestic abuse; and a collaborative effort that acknowledges the intrinsic links with safeguarding children and adults. All of which will ensure an appropriate multi-agency response to domestic abuse that will enable those affected to change their lives so that they may no longer live in fear. The community safety team help fund and support the work of the Partnership Against Domestic Abuse. If you have any queries regarding domestic abuse services, issues and partnership working in South Gloucestershire please contact the community safety team.